Over the next weeks, there will be chipper noise in various places around campus related to winter snowstorm clean up. Please be advised the Facilities Services will be having a contractor use a wood chipper to grind downed limbs from last week’s storm. This activity is very noisy and may be distracting to occupants of buildings. 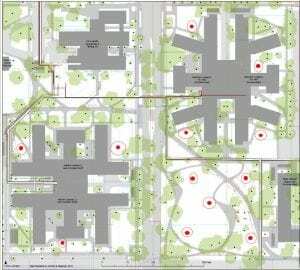 The work will occur at multiple sites across campus. This work will also affect traffic on campus streets and sidewalks, please avoid travelling near the chipping activity when you encounter it. 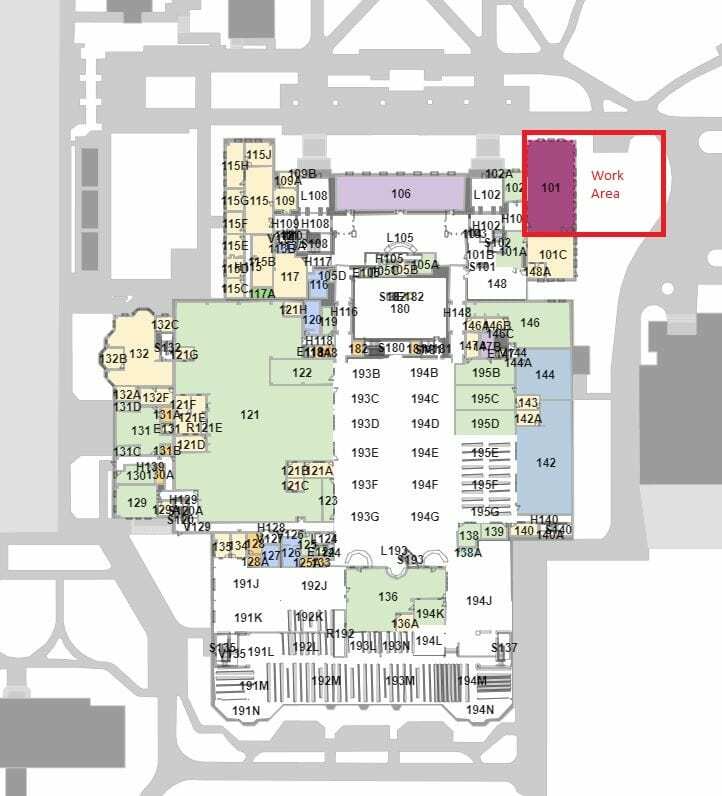 Beginning January 3rd through January 7th, the owner of 1715 Franklin will have contractors on-site to complete some repairs in Conference Room 171. There will be noise off and on, and possibly odors. This room will be offline until further notice. 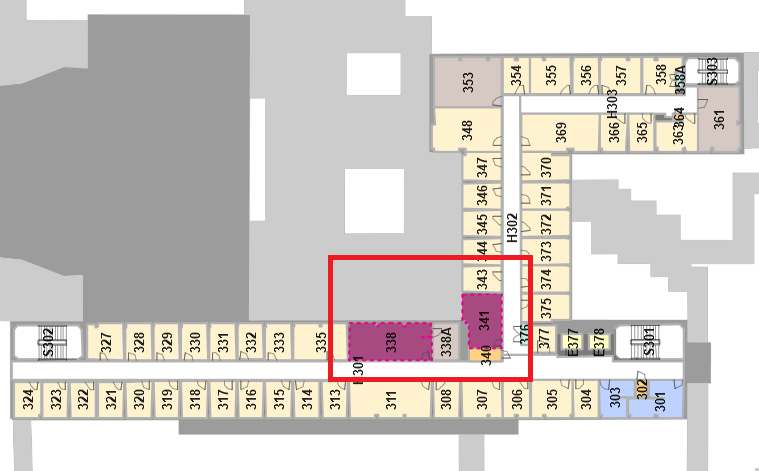 Rexius will be on site working around the exterior of the Knight Library outside room 101 starting 10/17 through 10/24. There will be no impact to services, but occupants may experience noise associated with contractor work. 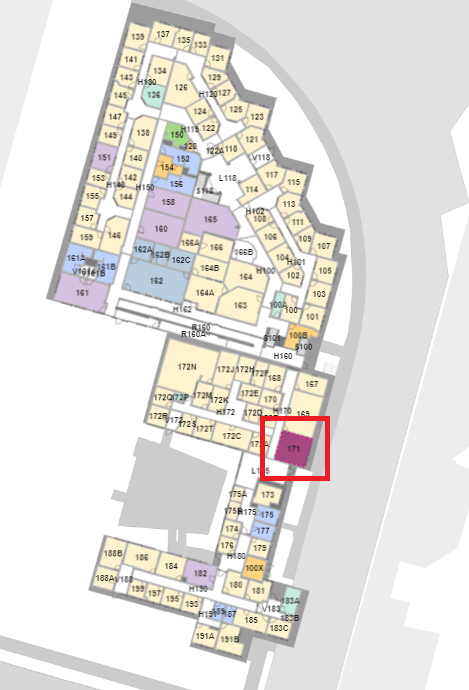 Design and Construction will be conducting geotechnical investigations related to the new residence halls project from September 26-28. This work will consist of a drill rig taking boring samples for soils analysis at the locations noted in the drawing. 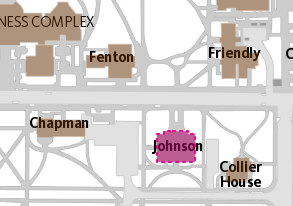 Impacted areas will be locations around Hamilton Hall, Walton Hall, and the Humpy Lumpy Lawn area. Mobilization and drilling activity will start at 9 AM each of the three days. For questions or concerns please contact CPFM Design and Construction Manager George Bleekman at 541-346-2625. Construction will start the week of August 6th and is expected to finish the week of August 20th. This work will involve some moving, light framing, electrical, drywall, and painting. Work will occur during the day. Building users may expect to hear normal light construction noises, and see UO Facilities personnel entering/exiting the building. No shutdown disruptions are expected or known at this time. If you have any questions or concerns, please contact Design & Construction Project Manager Theo Davis at 541-346-1012. Beginning July 10th, 2018 through July 27th, 2018 there will be trimming of shrubs and trees along the exterior of the building, including the bike cage and dumpster areas. There may be additional noise when work is in progress. The owners have contracted with Gary Pierce Painting to have the entire exterior of the building power washed and painted. Work is anticipated to begin on August 1, 2018, and be completed on or near August 31, 2018. Starting August 1st, Gary Pierce Painting will power wash the entire exterior building. Power washing will be completed in sections. After the power washing is completed, the painting will begin and also completed in sections. A lift will be on-site and used to complete this project. -Parking will be affected. Sections of parking in the row closest to the building will be blocked off throughout the duration of this project. Please use caution as you enter and exit the building. Also, please watch for equipment and folks that are working on this project. Please report any water leaks from power washing immediately. For questions or concerns please contact CPFM Real Estate Property Coordinator and Lease Management Melinda Seeley at 541-346-5550. 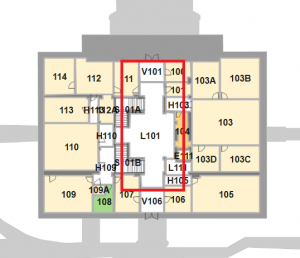 Starting April 9, 2018, through May 1, 2018, there will be a small interior remodel on the third floor of PLC rooms 338 & 341. This renovation includes moving, carpentry, electrical and painting activities. Workers will be active in the building completing various tasks throughout the day and night. There may be noise and congestion on the third floor in the area of the project. Per the Property Management Company: “Please be advised that there will be drilling taking place on the 3rd floor that may be exceptionally noisy. This work will take place Thursday, March 1st from 7:00 am – 8:00 am. Starting tomorrow January 10, 2018 – Thursday, January 11, 2018, Housing Carpenters will be performing light demo and moving in 1600 Millrace Suites 225, 225A, 261 and 262. We wanted to make you aware of the activity in this area. If you have any questions or concerns, please contact CPFM Design and Construction Project Manager Theo Davis 541-346-1012. 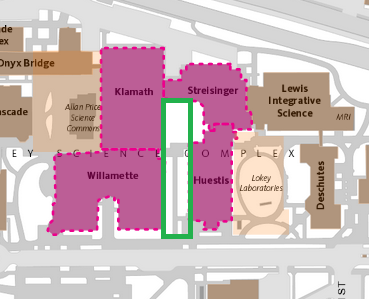 Due to stormwater drainage repairs, the courtyard surrounded by Streisinger, Huestis, Klamath, and Willamette has concrete work scheduled for 11/30 – 12/5. There will be noise and congestion associated with this work. The contractor will have the area well marked, and barricades will be in place. For questions or concerns related to this project, please contact CPFM Zone D Maintenance and Exterior Manager Kevin Farthing at 541-346-2857. 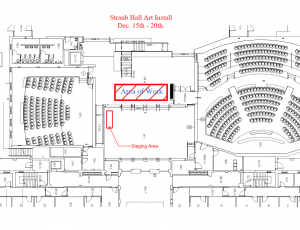 During the week of December 15 – 20, 2017 Fortis Construction will be using a scissor lift to hang art pieces in Straub Commons, room H146. Area of work will be cordoned off, but the Commons will remain open. Sound disruption should be minimal as the structural phase of this project was completed last summer. Art pieces will be staged in the NE corner of the Gabled commons, Room 141. For questions or concerns regarding this art installation, please contact George Bleekman at 541-346-2625. 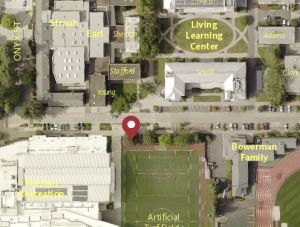 On Sunday, November 19, 2017, Sperry Tree Care will be onsite by Villard at the E 11th Ave and Franklin Blvd Merger. Contractors will be performing tree maintenance on the oak tree that overhangs Franklin Blvd. The equipment will be staged at Franklin Blvd, and there is a possibility the contractor will need to bring equipment down the sidewalk in front of Deady and Villard. The city has approved this work, and the contractor has coordinated pedestrian and vehicular traffic control. Please expect intermittent chainsaw noise associated with this work. Please contact Becket Dechant 505-699-7007 or Phil Carrol with questions or concerns. On Saturday, November 11, 2017 from 8:00 am – 6:00 pm crews will be working in the lobby of Johnson Hall. Please expect noise from saws and power tools. Air handlers will be off during this scheduled work and custodial will be on site to aid in cleaning up dust/debris from project activities. For questions please contact CPFM Facilities Services Lock and Door Supervisor Ken Straw at 541-346-5406. 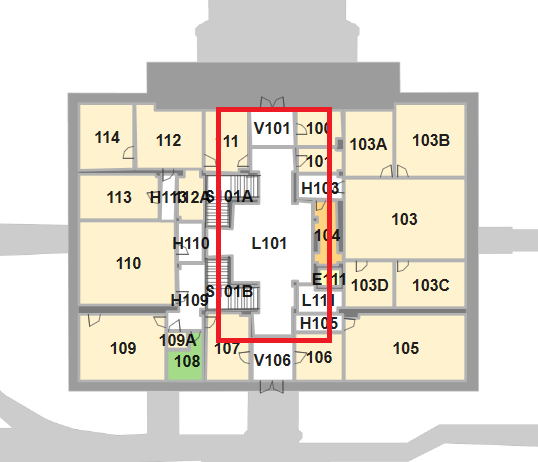 On Saturday, November 4th, from 8:00 am until 4:00 pm, Johnson Hall’s east basement entry will be closed to replace the door and hardware. This will affect access and cause intermittent noise from drilling and cutting with a saw. For questions or concerns about how this may impact your area, contact Ken Straw, Campus Planning and Facilities Management (CPFM) Lock and Door Supervisor at 346-5406. There should be no impact on buildings or operations. For questions or concerns, please contact Charlene Lindsay, Campus Planning and Facilities Management (CPFM) Design and Construction at 346-5503. 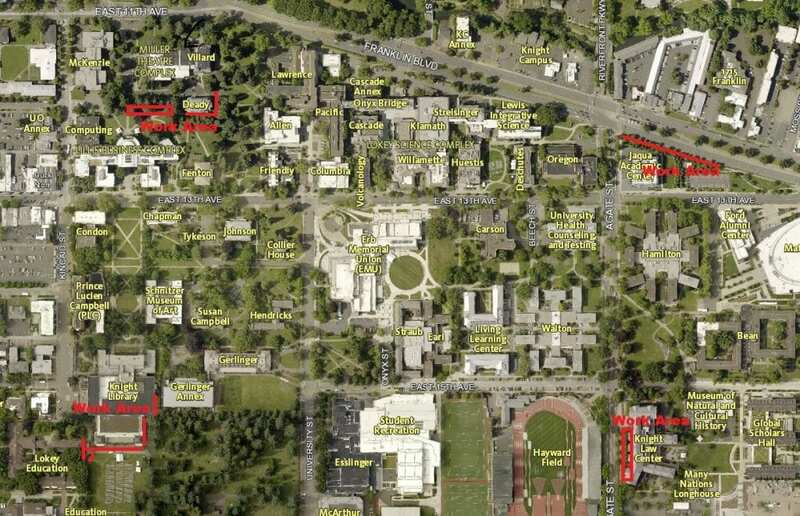 As part of the tree removal and drainage installation project, the courtyard surrounded by Klamath, Huestis, Streisinger, and Willamette will continue over the next two weeks. 10/16/17 Ground will be cleared for trenching on the east side of the courtyard, and the vine will be removed from the trellis on Klamath. 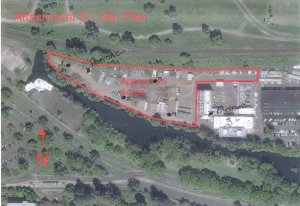 For questions or concerns related to this project please contact CPFM Landscape Supervisor Phil Carroll at 541-246-0031. As you may already know, we will be removing the tree in the courtyard beginning Wednesday to allow for a drainage project that will prevent water from dripping into the basement of Klamath and onto the atomic resolution microscope in the Nazin Lab. Through our diagnosis of the causes and treatment of this leak, we have concluded that the roots of the wisteria pose too much of an ongoing structural risk to the waterproofing of the basement, and we plan to remove the remaining wisteria. We are unhappy to be removing the gorgeous catalpa tree which is so uniquely shaped and adds so much to the feel of the courtyard, and removing the wisteria will further reduce foliage and its softening effects. Unfortunately, we have not been able to find an alternative solution that protects the microscope and its valuable research. After the drainage project is complete, the lawn will be restored, and we will evaluate opportunities for a new tree to be planted in the courtyard. Following the removal of the tree this week, work will begin on the installation of underground drainage and vine removal. We do not yet have a firm timeline of the latter events, but we are moving forward so as to lessen the chance that winter rains will continue to cause problems in the basement. If you have any questions about removal of the tree and vine, or about potential impacts to owl roosting opportunities, I will be happy to answer. The catalpa tree being removed was posted for three weeks, two weeks being our typical minimum posting time. Please let me know if you would like to discuss overall concerns about university tree management practices. For questions about the structural aspects of addressing the basement leak, I will refer to Bruce Budzik (copied here), Zone B Maintenance Manager. On October 4, 2017, from 6:00 am – 12:00 (noon) there will be landscape activities in between Willamette, Klamath, Streisinger, and Huesitis. The primary effects of this work will be intermittent noise from power equipment and traffic from hauling away debris. Please expect intermittent access closures and some noise during the duration of this work. 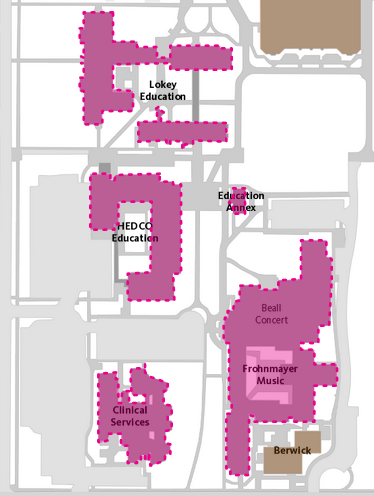 Crews will have areas well marked for the safety of the campus community. On September 16 – 17, 2017 crews will be painting the East, West and North sides of the building. No impact to building occupants is expected. September 18 – 22, 2017 crews will be installing metal siding on the south face of the CPFM Administration Building B0136. Building occupants should expect noise during the siding installation. During the hours of 8:30 am – 3:30 pm September 27, 2017, through September 29, 2017, Zone A Maintenance crews will be utilizing a lift to clean roofs at HEDCO, Lokey Education Buildings, Music and Clinical Services. Please expect congestion, temporary pedestrian detours and some noise associated with the lift and cleaning activities. For questions or concerns, please contact CPFM Zone A Maintenance Manager Jim Cody at 541-346-2302. 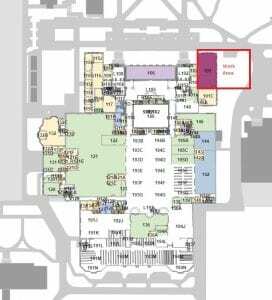 There will be roof work on Pacific Hall starting August 28, 2017, and ending on September 1, 2017. Users may experience strong odors during this time, especially through open windows. From August 24, 2017, through September 6, 2017, there will also be painting occurring within the construction zone on the Basement, 1st, & 2nd floors. Andersen Construction will be containing this work area and exhausting directly out of the building, but users may experience some residual odors. For questions, concerns please contact CPFM Design and Construction Project Manager Nick Pritchard 541-346-9139. 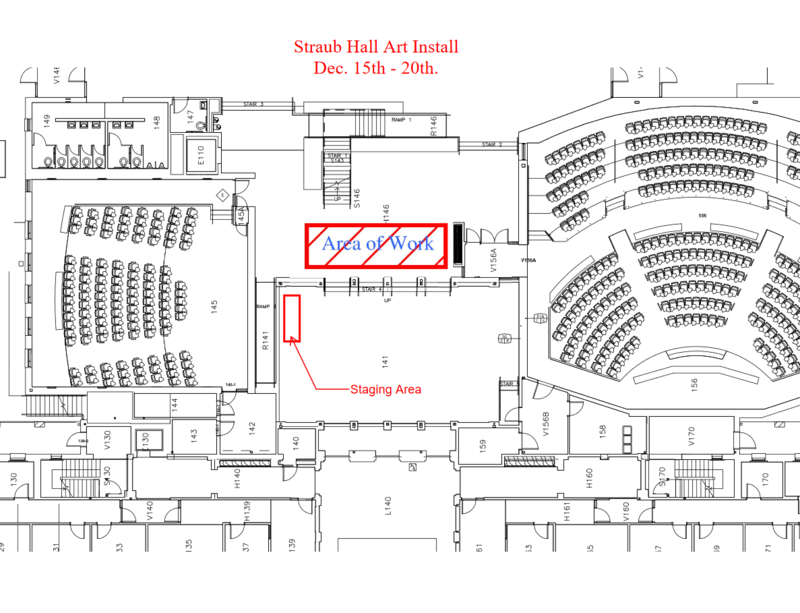 There will be construction activity in the atrium of Straub Hall Classroom Addition as the 1% art is installed. 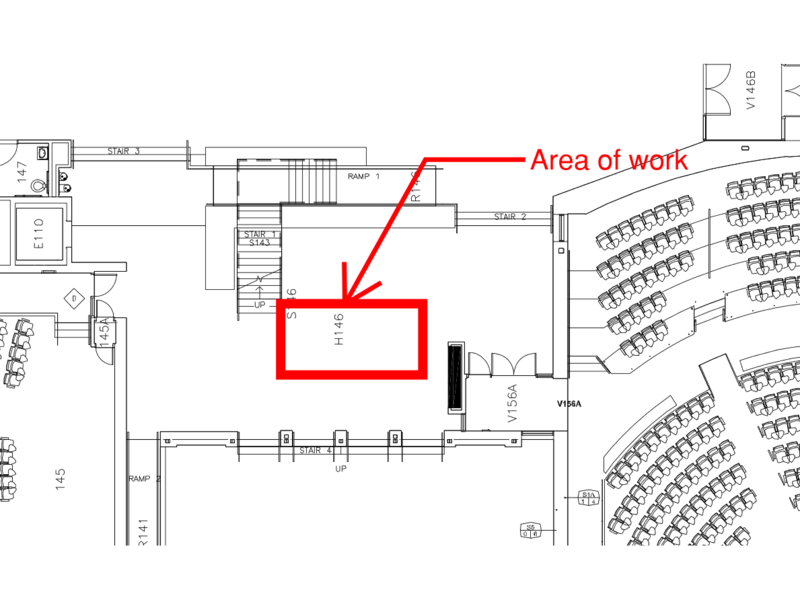 The atrium will remain open during the work, safety barriers will be in place. For questions or concerns please contact George Bleekman CPFM Design and Construction Owners Representative 541-346-2625.